located in the middle of a quiet local residential area in Palm beach. The complex is coneveniently located: 1 km from our finest beaches , 8 km from the Capital Oranjestad and about 10 km from the International Airport Reina Beatrix. Staying at Brisas Studio-apartments in Palm Beach at Aruba, you’ll be near our wordwide famous beaches and minutes away from shopping centers, bars, restaurants, cinemas and other entertainment. The turquoise waters of the Caribbean sea await you and Aruba’s bright white sandy beaches are perfect for everybody to relax underneath a palm tree and you are invited to swim, snorkel, dive or to do many other watersports like sailing, skiing, surfing and kiting. Make yourself at home in one of our 3 comfortable self catering studio-apartments. 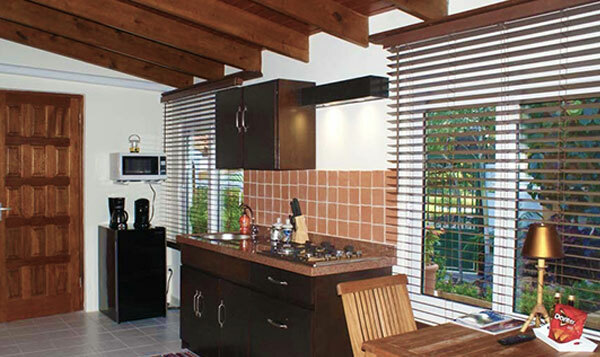 The air-conditioned studio-apartments can easily accommodate 2 guests and offer a fully equipped kitchen, a private bathroom and a terrace overlooking the garden. Free internet (Wi-Fi) and free parking spaces are available. 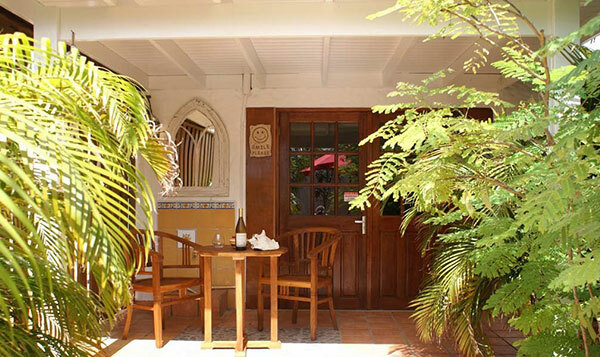 Brisas is an affordable, cozy, friendly and quiet place to stay. You will be welcomed by our host or hostess upon arrival and on request a pick-up service from the airport is available. Brisas is under the same management as “Wonders Boutique Hotel” in Oranjestad and “Carinas Bungalow and studio apartments at Palm beach. We shall be more than happy to welcome you at Brisas!